Everton defender Phil Jagielka has claimed that he is not to hopeful about his international career after being demoted to the bench due to a string of poor performances especially at the World Cup 2014. The 32-year-old has been a first choice for England ever since the retirement of Rio Ferdinand and John Terry. He has formed a partnership with Gary Cahill of Chelsea, but England’s defence was heavily criticised during a poor World Cup. It appears that Jagielka is paying the price for this negativity after being on the bench for the recent round of European qualifying matches. The former Sheffield United player is aware that time is certainly not on his side right now. Roy Hodgson has been looking to favour youth players in order to build for the future. This certainly was the philosophy during the World Cup 2014 squad selection, as a number of experienced players like Michael Carrick were left out. England are not appear to be targeting just the Euro 2016 qualifying campaign, but the tournament and beyond. In his absence, United defender Phil Jones has been getting regular run out in the England team. Jagielka says that he cannot much apart from training well and playing with his best ability. “I am not particularly confident. It is up to the manager and all I can do is play well for Everton. I don’t feel the World Cup has left a mark. It is an obvious assumption to make because it has not been great. It does not feel nice, that is the easiest way of saying it, but the [England] manager has a job to do. If he is looking to build for the future, that can work against me, but if you start looking too deeply at things, it is not going to do me any favours,” said Jagielka. With clubs around the globe getting ready for the upcoming campaign, managers of different clubs are trying to strengthen their respective squads but even the future of some top players are being put into question which is the case of Manchester City’s Yaya Toure. According to the agent of Yaya Toure, Dimitry Seluk his client has revealed his desire to leave the Premier League club after some recent incidents that have been occurring surrounding the Ivorian midfielder. A number of complaints have been made about the player not receiving proper recognition by the club of his birthday as well as not being able to give Yaya Toure time for him to visit his dying brother. All of these are factors that according to Yaya Toure or his agent, Dimitry Seluk have recently affected his desire to stay with Manchester City for another season. This summer transfer window will be the moment where the future of Yaya Toure gets resolved as there are rumors that are linking the Ivorian midfielder with a move to Real Madrid and PSG but this is going to depend on whether or not the complaints involving Yaya Toure and Manchester City are true or not. During the previous season of the Premier League, Manchester City claimed the league title and Yaya Toure arguably was one of the most important figures out of the entire squad as he scored 20 goals as a midfielder as well as providing a large number of assists. Ever since Yaya Toure joined Manchester City on July of 2010, he has been making over 30 league appearances in every season with consistent performances from start till finish. It will be a huge loss for supporters of the club if Toure does leave the Etihad Stadium. Barcelona midfielder Xavi has claimed that the players will be giving the 100% in order to be champions of Spain as the end of the season. Barcelona have the opportunity to win the league title, despite the poor form throughout the campaign, by managing a win over Atletico Madrid on the final day of the season. Atletico failed to grasp the huge opportunity they received last weekend when Barcelona failed to get a victory against Elche. This provided them with the opportunity to win the league title by getting three points against Malaga. However, the league title has been taken to the final day of the season after they also managed a 1-1 draw. The final match of the season for both clubs will be at the camp Nou, which gives Barcelona a sizeable advantage compared to Athletico. 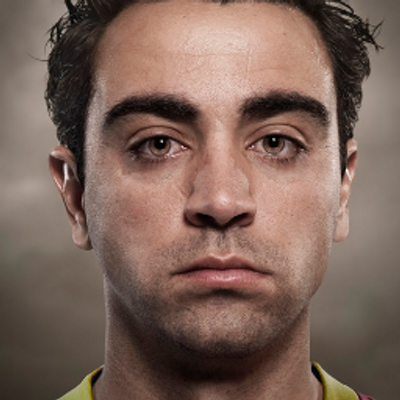 Midfielder Xavi has been one of the consistent players for both the Catalan club this season. He states that they will be going all out to get the win and seal the title. Real Madrid are now out of the picture after a 2-0 defeat against Celta de Vigo. This could also be one of the final league titles for Xavi and Carlos Puyol. The latter has already that he will be leaving the club at the end of the season. “We have got a historic opportunity and now we cannot mess it up. The league is over nine months and we have worked hard to get here. It has been a difficult year off the field but we deserve to win the league title. Everything is in our favour now. We’re at home and the fans have to get behind us from the first whistle to the last. We have got all the players, we have got the experience of what we have done over the years, we are hungry to win titles,” said Xavi. A lonely goal from Koke gave Athletic Madrid all what they needed to knock out Barcelona from the Champions League. This is the debut season for Gerardo Martino and even though it has gone fairly well, recently he has been getting hit with criticism concerning whether or not he is the right man to follow the legacy which was left behind by Pep Guardiola. Now that Barcelona is eliminated from the premiere European competition it gives them the opportunity to focus on the Kings Cup and the Spanish League. Even though Athletic Madrid took out Barcelona from the Champions League, there are complaints that rise every single time the Spanish club suffers defeats and this time around is no different as the Brazilian defender Daniel Alves criticized the state of the pitch on the Vicente Calderon. This is a complaint that the Barcelona players often say after suffering negative results. A clear cut example of this occurred way back in 2012 when Barcelona had to settle with a 2-2 draw against Ac.Milan on the Champions League quarter-final first leg. “We adapt to everything. But it’s clearly a problem for the game as a spectacle.” Guardiola said after the conclusion of the match. Whether or not the pitch does meet the requirements of the Barcelona players, Martino’s future as the head coach of the Spanish coach will be depending mostly on what happens on the remainder of the season. Barcelona’s legend Xavi stated that he is extremely happy that the club managed to seal qualification to the quarter-finals of the Champions League after the 4-1 aggregate win over Manchester City. This was seen as a tough match for the club given that City have spent huge amounts of money in improving the squad. As a result, they possess the likes of Yaya Touré and Sergio Aguero. They are also competing for the Premier league title, which is one of the toughest in the world. Even though Barcelona managed a comfortable 2-0 win in the first leg thanks to goals from Lionel Messi and Dani Alves, there was always the possibility of a comeback from City in the second leg. This was because of City’s attacking prowess this campaign, which is on course to making them the leading goal scorer in Premier league history with more than 103 goals. As in the first leg, Messi opened the scoring in the second half. Defender Alves got the second for Barcelona before Pablo Zabaleta was sent off for City late on in the encounter. Xavi said after the match that he is happy that Barcelona have shown their strength against one of the top teams, but feels that tougher tests await the club in the quarter-finals. “There were moments tonight when we were really flying. This is a competition which makes us very proud and people should be happy we are in the quarter-finals once again after a really intelligent performance. In fact we’ve produced a great knockout performance against a great rival like City. Despite the 2-0 first-leg score, this was a really open tie and I think the public must have seen a pretty great spectacle,” said the midfielder, who has been widely linked with a move to MLS in the summer.